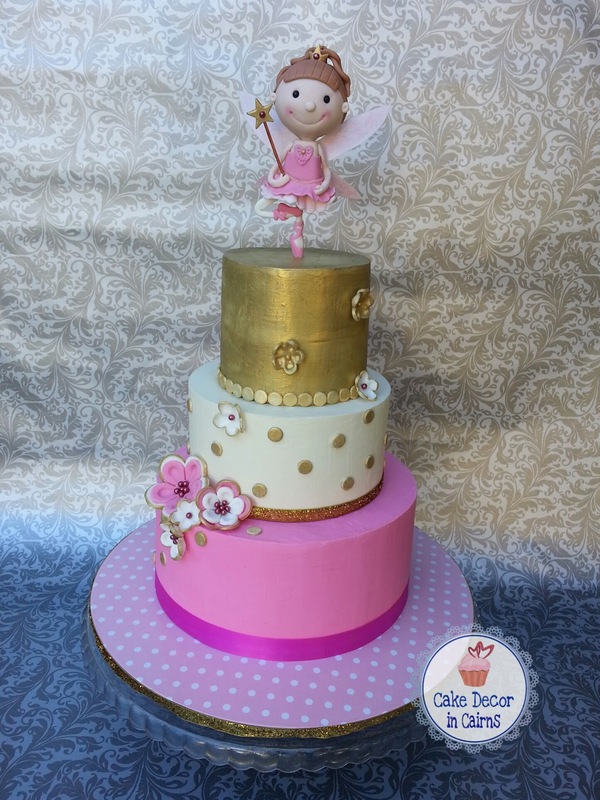 Cake Decor in Cairns: How to Level and Torte a Cake Without Special Tools! 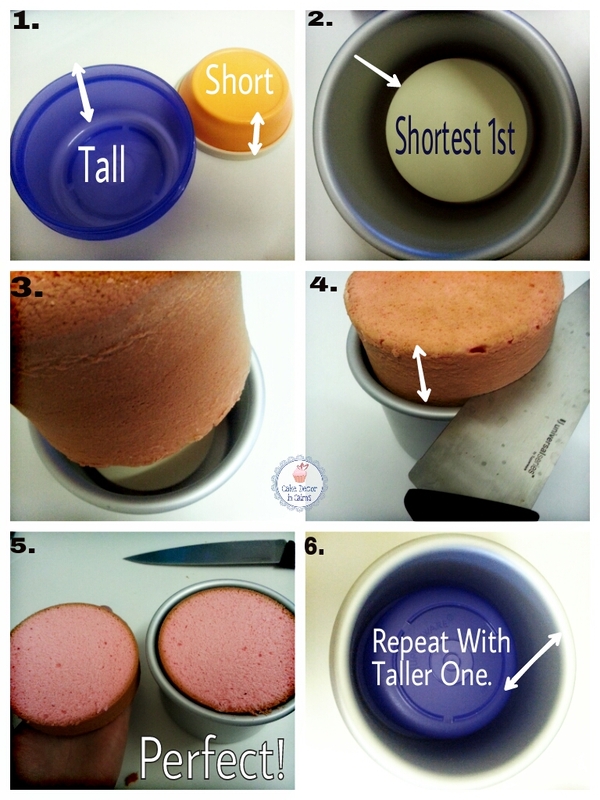 How to Level and Torte a Cake Without Special Tools! A few weeks back on Top Tip Friday I talked about how cold or partially frozen cakes are so much easier to cut with an ordinary bread knife. I don't own an Agbay, (I cannot justify the price since I do not bake for profit) so I make do with every day tools in the home bakers kitchen! Now I did promise to give you more! And today I am finally coming through! There's a little trick I learnt off Wilton on how to level your cake. You know, sometimes the unavoidable happens and Eeeek! You have this dome shaped cake! Now check this out! The first part of the video is what I am talking about! It's genius! 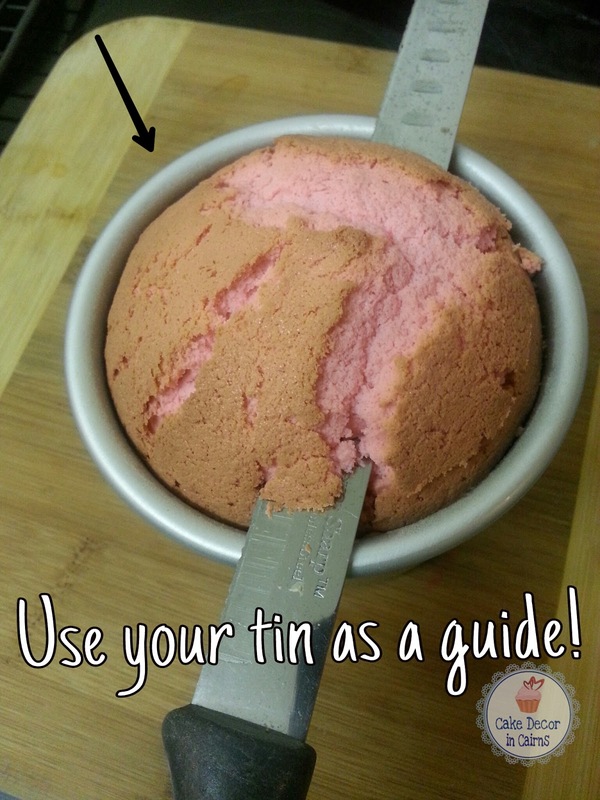 Just use your cake pan as a guide to level it! 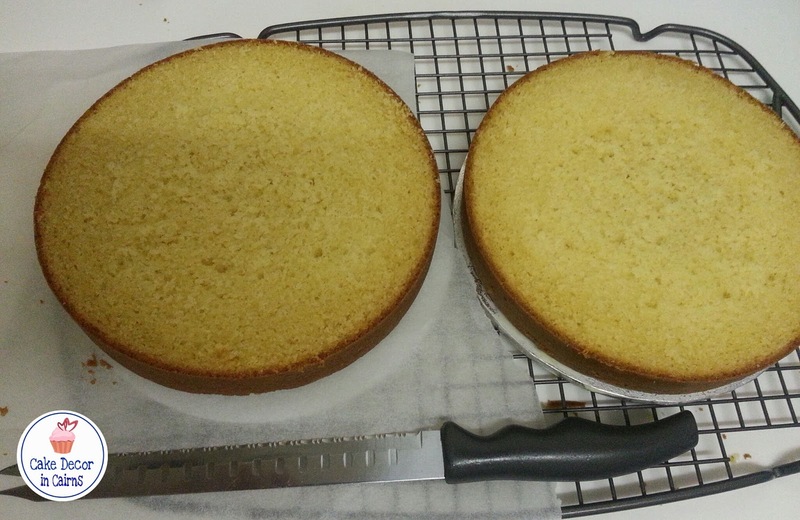 If you don't want to watch the video here's a photo of how I level off the top of my cakes. So that's a fantastic tip right? But what about torting? I said I don't use any special tools right? And that is correct. Ok so what you do need is some kitchen containers - anything that fits into the bottom of your cake pan, and is the right height needed for this trick. "What the heck is she going on about?!" OK ha ha this is really hard for me to explain so I am just going to load a couple of photos up to help! Torting the 1st layer of my cake. In this demonstration I am using a little 4 inch cake, but as you have seen on my other cakes this method works on most sizes. So after you have taken the crown off, you can torte the levels still using your pan as a guide, you just need to prop your cake up in the tin to bring it to the height required. 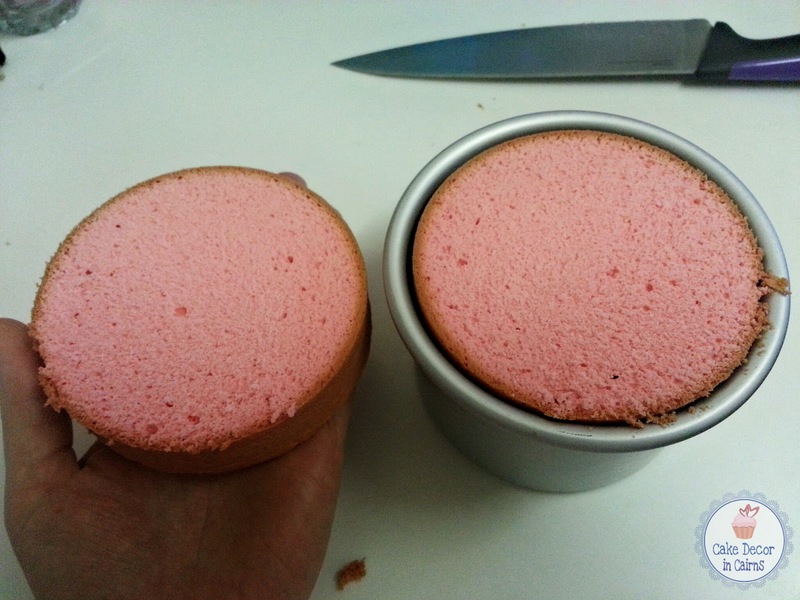 in this example the first container is 1/3 of the height of the cake, the 2nd container is approximately 2/3. And there you have it! A perfectly level and torted cake without an expensive cake leveller! That's home bakers doing it for themselves right there! One of my cakes using this easy level and torte method.